My doctoral work focused on what provides meaning to people's lives, and how that is impacted in the palliative phase for both the patient and the family caregiver. When working with clients with a wide range of difficulties (depression, anxiety, panic attacks, obsessive-compulsive disorder, eating disorders), I co-developed a specialized group therapy for persons with prolonged grief (= "Anhaltende Trauerstörung"; when the experienced grief after the loss of a loved one doesn't seem to change or diminish, even after a year has passed), which was published in a German psychology textbook for therapists. The German Society of Social Psychiatry recognized this work regarding “Therapy approaches for patients with prolonged grief” with its 2016 research award. A selection of my publications follows. Full list available on request. Brandstätter, M., Kögler, M., Baumann, U., Fensterer, V., Küchenhoff, H., Borasio, G. D. & Fegg, M. J. (2014). Experience of meaning in life in bereaved informal caregivers of palliative care patients. Supportive Care in Cancer, 22:1391 – 1399. Thurn T, Brandstätter M, Fensterer V, Küchenhoff H, Fegg MJ (2014). Existential behavioral therapy for informal caregivers of palliative patients: Barriers and promoters of support utilization. Palliative & Supportive Care. Fegg M, Brandstätter M, Kögler M, Hauke G, Rechenberg-Winter P, Fensterer V, Küchenhoff H, Hentrich M, Belka C, Borasio G (2013). Existential behavioural therapy for informal caregivers of palliative patients: a randomised controlled trial. Psycho-Oncology, 22(9):2079-86. Kögler, M., Brandstätter, M., Borasio, G. D., Fensterer, V., Küchenhoff, H., & Fegg, M. J. (2013). Mindfulness in informal caregivers of palliative patients. Palliative & Supportive Care. Brandstätter, M., Baumann, U., Borasio, G. D. & Fegg, M. J. (2012). Systematic review of meaning in life assessment instruments. Psycho-Oncology, 21:1034–1052. Lumbeck, G., Brandstätter, M. & Geissner, E. (2012). Erstvalidierung der deutschen Version des „Inventory of Complicated Grief“ (ICG-D) [Preliminary validation of the German version of the Inventory of Complicated Grief (ICG-D)]. Zeitschrift für KlinischePsychologie und Psychotherapie, 41 (4) 243-248.  Rosner, R., Pfoh, G., Rojas, R., Brandstätter, M., Rossi, R., Lumbeck, G., Kotoucova, M., Hagl, M., Geissner, E. (2015). 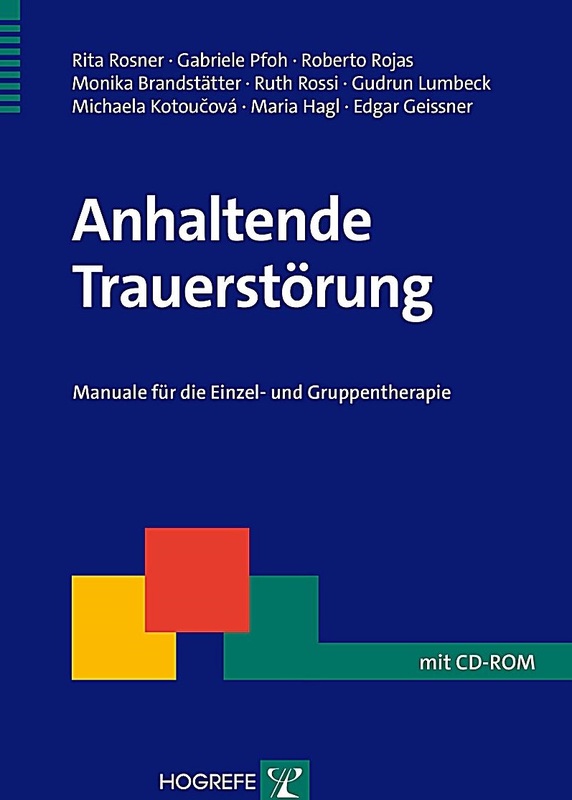 Anhaltende Trauerstörung: Manuale für die Einzel- und Gruppentherapie [Prolonged grief disorder: manuals for one-on-one and group therapy]. Hogrefe Verlag. Brandstätter, M. (2014). Angehörige [Family caregivers]. In M. Wasner, S. Pankofer (Hrsg. ), Soziale Arbeit in Palliative Care [Social work in palliative care]. Kohlhammer Verlag: Münchner Reihe Palliative Care. Brandstätter, M., Hofmann, S. (2012). Dokumentation, Qualitätssicherung und Abrechnung psychologischer Leistungen in der Palliativversorgung [Documentation, quality control, and billing of psychological services in palliative care]. In M. Fegg, J. Gramm, M. Pestinger (Eds. ), Psychologie und Palliative Care (p. 228-235). Stuttgart: Kohlhammer. Brandstätter, M., Kögler, M. (2012). Gruppenprogramme für PatientInnen und Angehörige [Group programs for patients and relatives]. In M. Fegg, J. Gramm, M. Pestinger (Eds. ), Psychologie und Palliative Care (p. 169-177). Stuttgart: Kohlhammer. Brandstätter, M., Lalonde, C. E. (2007). 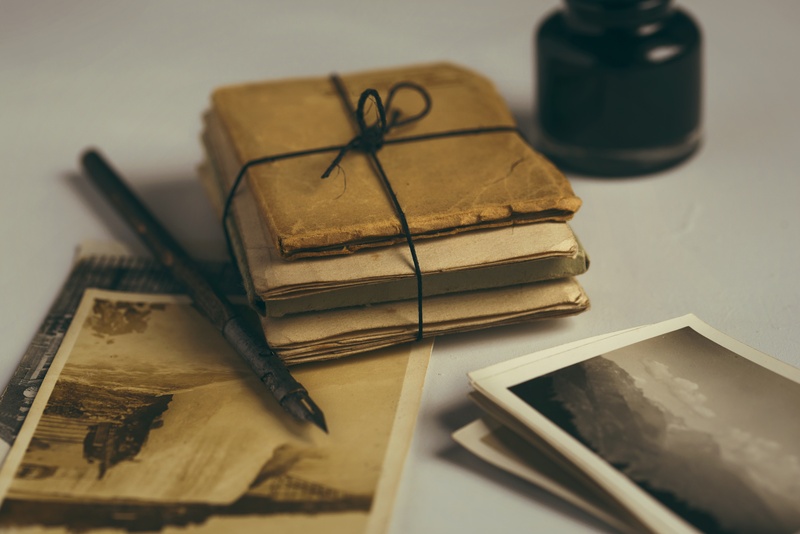 Personal persistence and personal projects: creating personal and cultural continuity. In B. R. Little, S. D. Phillips & K. Salmela-Aro (Eds. ), Personal project pursuit: goals, action, and human flourishing (pp. 271-298). Mahwah: Erlbaum. Brandstätter, M., Fegg, M., Kögler, M., Hauke, G., Rechenberg-Winter, P., Fensterer, V., Küchenhoff, H., Hentrich, M., Belka, C., Borasio, G.D. (July, 2014). Existential behavioural therapy for informal caregivers of palliative patients: a randomised controlled trial. Paper presented at the First International Congress on Personal Meaning, Vancouver. Fegg, M., Brandstätter, M., Führer, M. (October, 2010). Meaning in Life in Palliative Care: Theory, Assessment and Intervention. Paper presented at the 18th International Congress on Palliative Care, Montreal. Brandstätter, M. (October, 2009). Denn keiner trägt das Leben allein: Unterstützungsmöglichkeiten für Angehörige. [Because no-one bears life alone: Possibilities of support for family caregivers]. Invited opening address presented at the palliative care conference of the German Society for Palliative Care in Kiel, Germany. Brandstätter, M., Kramer, M., Haarmann-Doetkotte, S., Kögler, M., Borasio, G. D., & Fegg, M. J. (May, 2009). Evaluating palliative care patients' meaning in life using the Schedule for Meaning in Life Evaluation (SMiLE). Paper presented at the 11th World Congress of the European Association for Palliative Care, Vienna, Austria. European Journal of Palliative Care EAPC Abstracts,46.